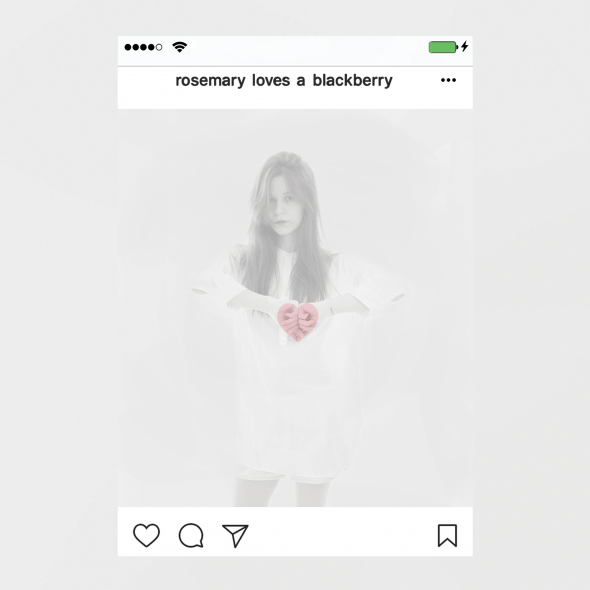 We are thrilled to have Rosemary Loves a Blackberry join the AGMR roster with her tremendous debut LP, the enigmatically titled ‘❤’. Anti-Ghost Moon Ray proudly presents the debut album from Rosemary Loves a Blackberry aka Diana Burkot; A wildly inventive strain of Russian electronic art-pop; a shrewd and personal take on digital art and its distribution in the 21st century. The album name itself, ‘❤’, is in Burkot’s own words “an image that cannot be spoken, at a time when visual aesthetics are the priority”. Infectious beats and synth drones underpin woozy dream-pop vocals capturing the more joyful experimentation of early Grimes or Laurel Halo, and the fresh, dark energy of Marie Davidson. The music is full to the brim with concise ideas that never overstay their welcome.